As you watch each of the Democratic candidates, this question looms: How would she or he fare in a debate with Donald Trump? My conclusion after seeing Senator Elizabeth Warren in CNN’s Monday town hall meeting in Mississippi: She’d clean his clock. Warren is smarter, better informed, and every bit as tough. And given how much of Trump’s case for reelection is based on false premises, Potemkin Village pretensions, and outright lies, she’d take him to town. Trump would likely go hard on the issue of her exaggerated Native American ancestry, but at real risk to himself. One of his patented “Pocahontas” jabs would reinforce his reputation as a racially tinged bully, particularly since there’s no evidence that Warren’s exaggerated claim imparted a hiring advantage at any of the universities where she worked. 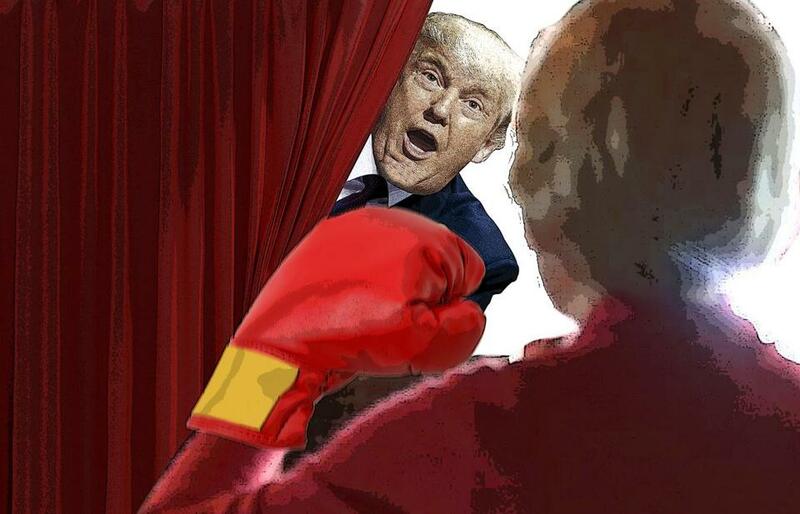 Further, Trump would set himself up for a devastating debate counter punch, given his own fraudulent claims about his personal history. He has repeatedly boasted that he made his fortune by himself, with “only” a $1 million loan from his father. But as we now know, Fred Trump funneled him more than $400 million, much of it through shady tax-avoidance schemes. Trump supporters shrug their shoulders, but that’s far more deceptive — and, by cheating the government on taxes, societally injurious — than what Warren haters imagine her having done. With Warren, who at this stage of the campaign is vying with Vermont’s Bernie Sanders, the other question is this: Would she be a better, more effective, and connective candidate than Sanders? There too, I think she made important impressionistic progress with her town hall performance. 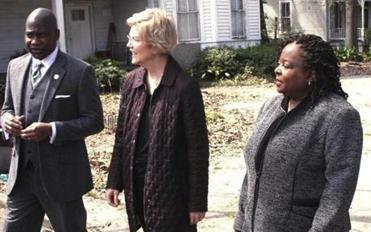 Senator Elizabeth Warren tailored her agenda to the diverse audience Monday night in a CNN town hall in the Deep South. First, however, a caveat: Warren would benefit from more modulated responses on occasion. In events like Monday’s, she can seem too intense too much of the time, as though overdrive is her only gear. A philosophical moment or two would add a welcome dimension to a presentation that can sometimes seem overly caffeinated. That said, she came off as warmer, friendlier, funnier, and less of an ideologue than Sanders. I thought one of her best and most important moments came when she spoke of her belief in markets and the value they deliver, as long as there are rules by which capitalism is conducted. That’s an important declaration for Warren in a campaign where Republicans are trying to paint the entire Democratic field as radical socialists. Despite her professed support for Medicare for All, Warren is also more moderate than Sanders on health care. When Sanders uses that policy moniker, he means implementing a single-payer system, with the virtual elimination of insurance companies and the government setting health-care payment rates. Warren, by contrast, wants to improve the Affordable Care Act and lower drug costs, and then have a discussion about lowering the age for Medicare eligibility or allowing Medicare buy-in. For my (moderate) money, rather than trying to obscure her differences with Sanders there, she should make them clear. Hers, after all, is a much more politically realistic approach. Some are already putting the Massachusetts senator on the politically endangered list because she’s trailing Sanders in New Hampshire, a neighboring make-or-break state for both of them. It’s far too early for that, however. As we saw in Massachusetts when Warren first burst upon on the scene, she is talented and substantive, with a certain wonkish charisma about her. As others have noted, she’s emerged as the policy-proposing pace-setter in a very large field. From her plan for a tax on the total assets of the exceedingly wealthy to her call to break up big tech companies, to her proposal for universal child care and for spending billions on housing, she has defined her candidacy in a way that lets everyone know what she’s about. And that’s not a bad place to be at this stage in the campaign. Scot Lehigh can be reached at lehigh@globe.com. Follow him on Twitter at @GlobeScotLehigh.